Durable clear acrylic features inset stainless steel cutting edge on one side. 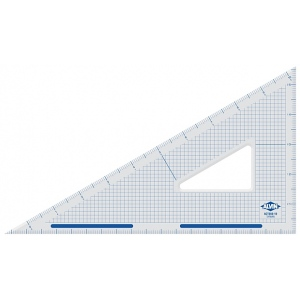 * Printed grid includes inch markings and centering lines ideal for both right and left-handed users. * No-slip strips on one side for a stay-put grip flip over for easy sliding.